> Read the articles connected to the project. Both space-based experiments and seismology are facing the challenge of treating steadily increasing and complex data sets. The synergies between the François Arago Centre (FACe) within APC laboratory and both the Data Centre and the Data Analysis Centre (S-CAPAD) within IPGP, connected through a high speed network infrastructure, provides us with a unique data aware environment. It is also instrumental in terms of implementing new and innovative approaches for data integration and analysis for fully exploring the cornucopia of modern observations. In the first two years, this project focused on harmonizing the usage of the data centres for the different projects in order to allow an optimal usage of the resources. In addition, the different aspects of the computing needs are investigated in view of their processing requirements. The outcome of this work is a work plan, which processes are processed locally, on the computing farm of the FACe, on the heavy-duty computing environment at CC-IN2P3, and what processes can best be performed using the GRID infrastructure or in the cloud. At the end of this work task an efficient way will be provided in order to access the various resources, and a detailed advice will be given which resources are best used for the different tasks faced by IPGP Observatories, eLISA, LISA-Pathfinder, Euclid and other possible projects using the IPGP data centres and the FACe. – designed and developed the necessary software to make geophysical data available through other data centers. – provides data for the webservices access, available in several data centers, to retrieve the seismic data, allowing a fast access to the large data archive. – We also developed algorithms for massive analysis of large continuous seismological datasets with using different types of computing architectures. – federated cloud systems such as France Grilles FG-cloud are the logical next step in order to provide projects with easy access to large computing power without generating large costs. – container technologies such as Docker and Singularity in conjunction with continuous integration tools (GitLab-CI) allows to easily share code and reach to a production level on multi-infrastructures (local, grid, cloud, and cluster). – the next step is the management of containers with container orchestrators such as Kubernetes (k8s) that can replace classic job scheduler (Slurm, Grid Engine…) in order to execute container jobs on batch cluster. – we have to continue to investigate new computing infrastructures. The concentration of knowledge about the best computing architectures has shifted from the scientific to the private sector over the last ~10 years.It is vital that scientific projects continue or get involved in state-of-the-art computing, in order to get the highest scientific return possible for the invested budget. – the next paradigm is IA with Machine Learning/Deep Learning which can be easily implemented with the Python TensorFlow library which run on CPU, GPU and the new TPU (Google Tensor Processing Unit) as explored in the DecaLog/ComputeOps IN2P3 project. The current year of the LabEx UnivEarthS Valorisation project was dedicated to dissemination of the results and knowledge of this work package, and the use of container technologies within the IN2P3 DecaLog project: In October 2018, we have participated in the organization of JCAD 20181 (Journées SUCCES + mésocentre). This meeting has the goal to federate scientific user and infrastructure administrators of the France Grilles community and the connected infrastructures. In 2018, the ComputeOps (DecaLog master project2) has been accepted by the IN2P3 in order to study container for high performance computing. In this context, which is strongly connected with the LabEx WP V1 topics, the project has organized the IN2P3 informatics school on container in production. Compositions of containers, continuous integration and deployment of containers, and container orchestrators have been explored during the school. Furthermore, the ComputeOps project has started to provide tools (container Hub, CI recipes), good practices and tutorials on containers for this specific field. A workshop will be organized in November in order to present the new version of the chosen container solution3 and other topics studied in the ComputeOps project. In September 2017, the FACe and IPGP have received a positive answer concerning a Sesame proposal (regional call) for the MULTI DATA ANALYSIS AND COMPUTING ENVIRONMENT FOR SCIENCE (DANTE) project, which will reinforce the synergy of the two laboratories as computing and service providers. During 2018, we made the first meeting to discuss the new DANTE scientific instrument organization. Due to the FACe moving from BioPark to Condorcet, the FACe computing cluster has been temporary moved in the LPNHE laboratory. During 2019, the cluster will be moved and upgraded into the IPGP computing room. Both platforms, S-CAPD@IPGP and FACe’s cluster, will be part of the CIRRUS platform (USPC COMUE). Further work has been done on the cloud infrastructure that can be used at the APC. Documentation about the usage of Cloud has been finalized and put together in a set of practical user documentation. This documentation has been made public through the Wiki pages at the APC and through the Atrium document data base. The Docker container technology has been used for space missions such as Euclid, LISA and SVOM. Indeed, several applications (code sharing of the simulator, services providing such as Jupyter Notebook, Django Web application) has been developed for this specific use case. 12th International LISA Symposium (2018) In prep. M. Poncet, T. Faure, C. Cavet, A. Petiteau, P.-M. Brunet, E. Keryell-Even, S.
M. Jouvin, V. Legoll, S. Li, C. Loomis, M. Marquillie, G. Mathieu, J. Pansanel, G.
Journées scientifiques mésocentres et France Grilles 2012, Paris : France, hal-00766067 (2012). Webinaire Docker : retour d’expérience, Webinaire du RI3, 16 Juin 2016.  Cloud computing : a new computing infrastructure for scientific applications, Campus Paris Diderot, Paris, 2 Décembre 2013. Cloud computing : a new computing infrastructure for scientific applications, Laboratoire APC, Paris, 10 Décembre 2012. Un cas d’étude en astrophysique, Journée de sensibilisation aux moyens mutualisés d’accès au calcul intensif, INRA, Paris, 11 Janvier 2016. Présentation du cloud, Journée de sensibilisation aux moyens mutualisés d’accès au calcul intensif, INRA, Paris, 11 Janvier 2016.
Review on distributed computing,Workshop distributed computing in astrophysics, FACe, APC, Paris, 10 – 11 Décembre 2015. Etude des ondes gravitationnelles : de l’espace au cloud, Journées SUCCES, IPGP, Paris, 5 – 6 Novembre 2015. Cloud technology for algorithm preservation, Atelier PREDONx, Laboratoire APC, Paris, 5 – 6 Novembre 2014. Retour d’expérience en Astrophysique : utilisation du Cloud IaaS pour le traitement de données des missions spatiales, École informatique IN2P3 2014 : Maîtriser le Cloud, Centre Jean Bosco / Centre de calcul de l’IN2P3, Lyon, 1 – 5 Juillet 2014. 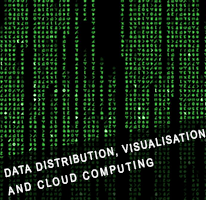 Big Data : utilisation d’un cluster Hadoop, Atelier Big Data du LabEx UnivEarths, FACe, Paris, 14 Janvier 2014. Tests de SlipStream au LAL et au CC-IN2P3 : vers la fédération du Cloud Computing, Rencontres France-Grilles – LCG-France, CC-IN2P3, Lyon, 26 – 28 Novembre 2013. Vers une fédération de Cloud académique dans France Grilles, Journées SUCCES, IPGP, Paris, 13 – 14 Novembre 2013.  Flexible Data Processing Solutions for Space Missions, SCIOPS, ESAC, Madrid, Espagne, 10 – 13 Septembre 2013. Utilisation de StratusLab dans le cadre des applications astroparticules à l’APC, Rencontre LCG-France, LLR, Palaiseau, 28 Mai 2013. Retour d’expérience d’utilisation d’un Cloud en Astrophysique : le projet BOSS, Journées Clouds pour le Calcul Scientifique, LAL, Orsay, 27 Novembre 2012. Utilisation du Cloud Computing de type IaaS («Infrastructure-as-a-Service) : tests de clusters virtuels dans le cadre d’applications astroparticules, 8ème Journées Informatique de l’IN2P3 – IRFU, La Londe Les Maures, 22 – 25 Octobre 2012. Hadoop on the Cloud : the SlipStream deployment tool, Journées nationales du Développement Logiciel, INP – ENSEIRB-MATMECA, Bordeaux, 30 Juin – 3 Juillet 2015. Hadoop on the Cloud : the SlipStream deployment tool, EGI Conference, Lisbon, Portugal, 18 – 22 May 2015. Cloud computing for Astroscience applications, École d’automne du Labex UnivEarthS, Villa Finaly, Florence, Italie, 27 – 31 Octobre 2014. Interfaces PaaS, Formation Utilisateur FG-Cloud, CC-IN2P3, Lyon, 27 – 29 Avril 2016. Hadoop hands-on : using MapReduce / Spark on the cloud, Workshop distributed computing in astrophysics, FACe, APC, Paris, 10 – 11 Décembre 2015. SlipStream : un outil de déploiement automatique pour le cloud fédéré France Grilles, Démonstration, Journées SUCCES, IPGP, Paris, 5 – 6 Novembre 2015. TP développeurs : introduction et présentation, École informatique IN2P3 2014 : Maîtriser le Cloud, Centre Jean Bosco / Centre de calcul de l’IN2P3, Lyon, 1 – 5 Juillet 2014. Hands-on tutorial on StratusLab Cloud, Laboratoire APC, Paris, 31 Mai 2013. Lettre informatique de l’IN2P3, n34, Juillet 2016.  Lettre informatique de l’IN2P3, n32, Novembre 2015. Wiki du Centre François Arago (FACe) sur le Cloud computing. LabEx UnivEarths (WP V1) : Diffusion des données, visualisation et nuage informatique. PREDON book : Scientific Data Preservation, document de synthèse, 2015.  PREDON book : Scientific Data Preservation, document de synthèse, 2014.  Pyraeus : outils en Python pour la reconstruction des décalages spectraux photométriques des Galaxies (code source sur dépôt Git : https ://gitlab.in2p3.fr/photoz/photoz ; documentation en ligne : http ://www.apc.univ-paris7.fr/ lejeune/pyraeus/html/index.html).